GREEN BAY Wis. — Harold J. Taylor, 84, formerly of Schaffer, passed away Tuesday, Aug. 7, 2018, in Green Bay, Wis.
Harold was born in Escanaba to Emanuel “Darl” and Marie (Revord) Taylor and was raised in Schaffer. After high school, Harold enlisted in the United States Air Force and served a term in Korea during the war. Harold married Helen Jean Frossard in Schaffer in 1955. Together they celebrated 63 years of marriage. 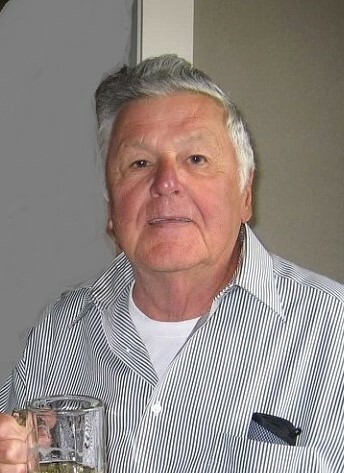 Harold worked for as a meat inspector for the U.S.D.A. in Green Bay before retiring in 1996. He was an avid fisherman and occasional hunter. He loved to garden and was a tremendous cook. He will be greatly missed. Harold is survived by his wife, Helen Jean; son, Rick (Karen) Taylor; siblings, Dwayne (Germaine) Taylor of Flat Rock, Russell (Rita) Taylor of Escanaba, Jacqueline (Clarence) Seymour of Escanaba; brother-in-law, Earl Juneau of Schaffer; sisters-in-law, Edna Frossard, Rose Kane, Vivian Frossard, all of Escanaba, Wanda Frossard of Riverland, and Donna Frossard of Bark River; and numerous nieces and nephews. Services will be held at the convenience of the family. Burial will be in Scared Heart Cemetery in Schaffer. A message of condolence may be directed to the family by visiting crawfordfuneralhomes.net.